'Tis the season to be holo! I have the new "Holiday Magic" collection from Cupcake Polish to share tonight, a set of six very merry & bright colors that are perfect for the festive seasons! 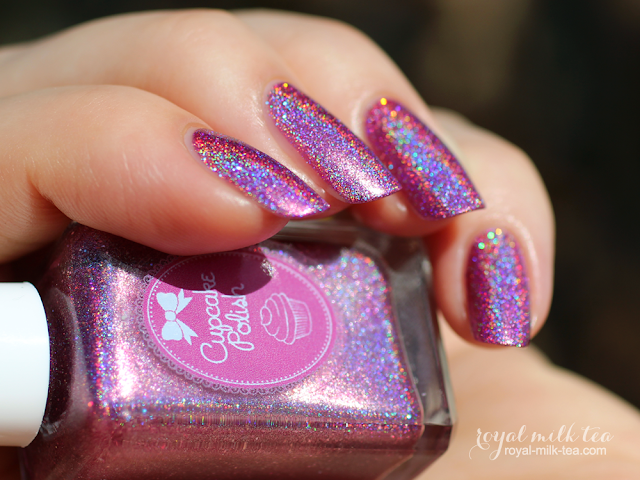 Merry is a magenta-pink ultra holographic with added holo micro-glitters and a subtle metallic finish. 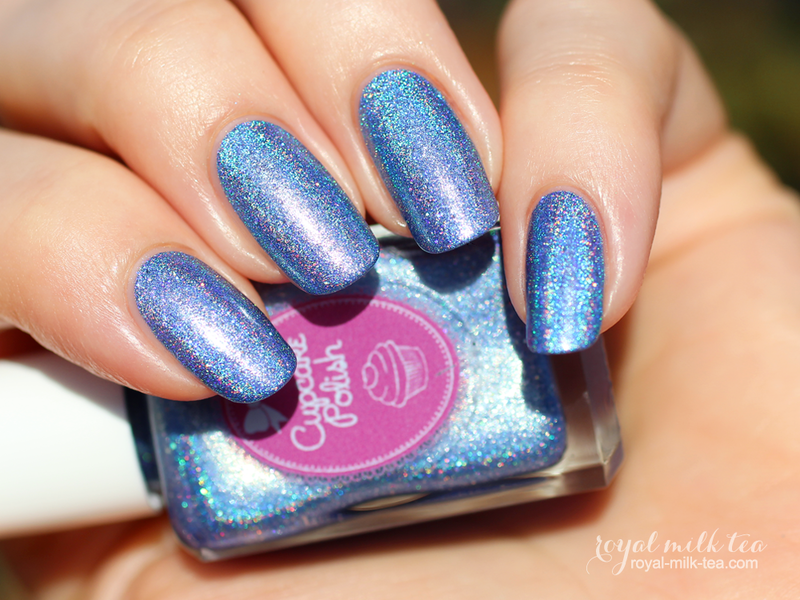 Peace is a lavender-blue ultra holographic with added holo micro-glitters and a subtle metallic finish. 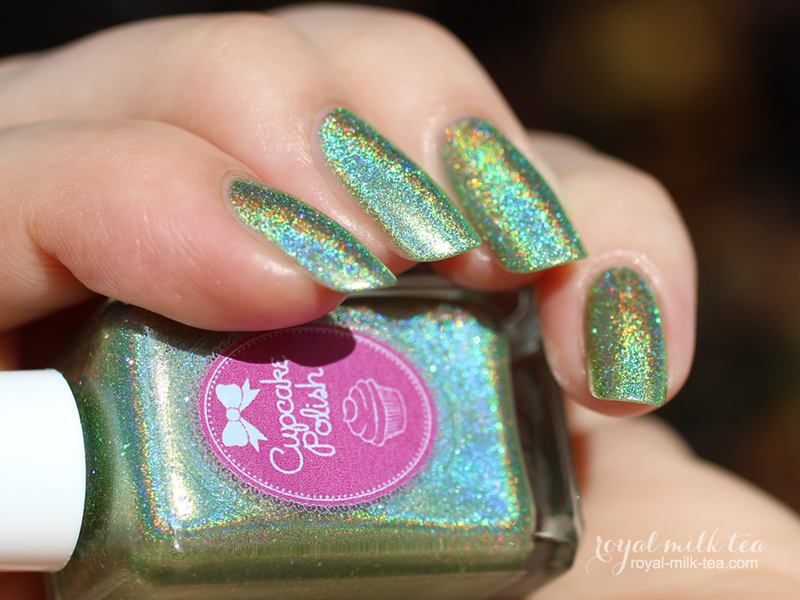 Noel is a teal ultra holographic with added holo micro-glitters and a subtle metallic finish. 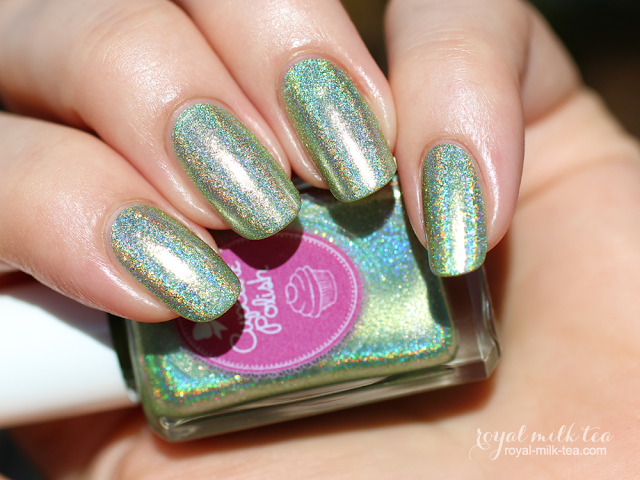 Jingle is a light lime green ultra holographic with added holo micro-glitters and a subtle metallic finish. 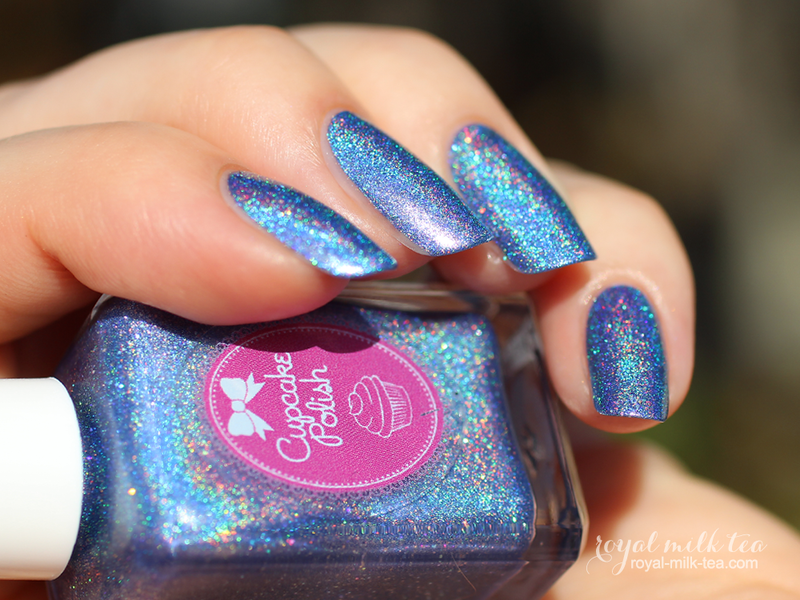 Joy is a cornflower-blue ultra holographic with added holo micro-glitters and a subtle metallic finish. 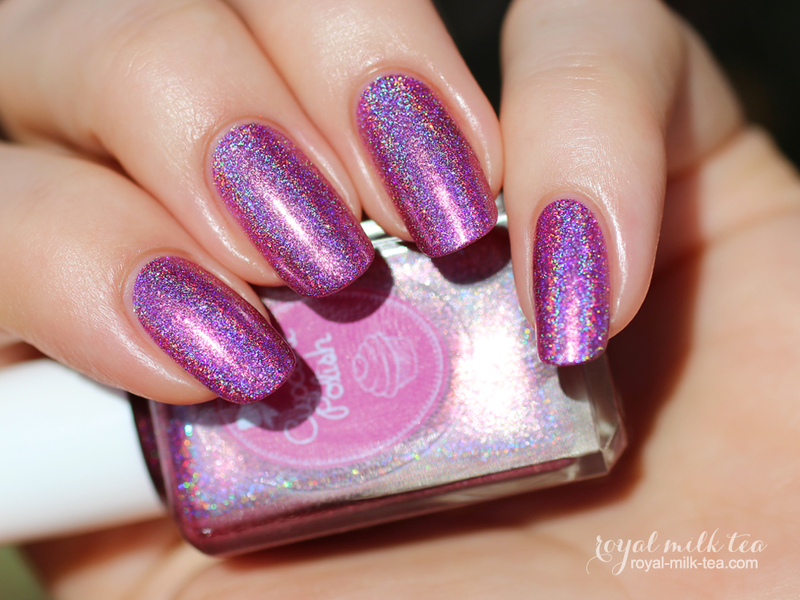 Cheer is an amethyst ultra holographic with added holo micro-glitters and a subtle metallic finish. 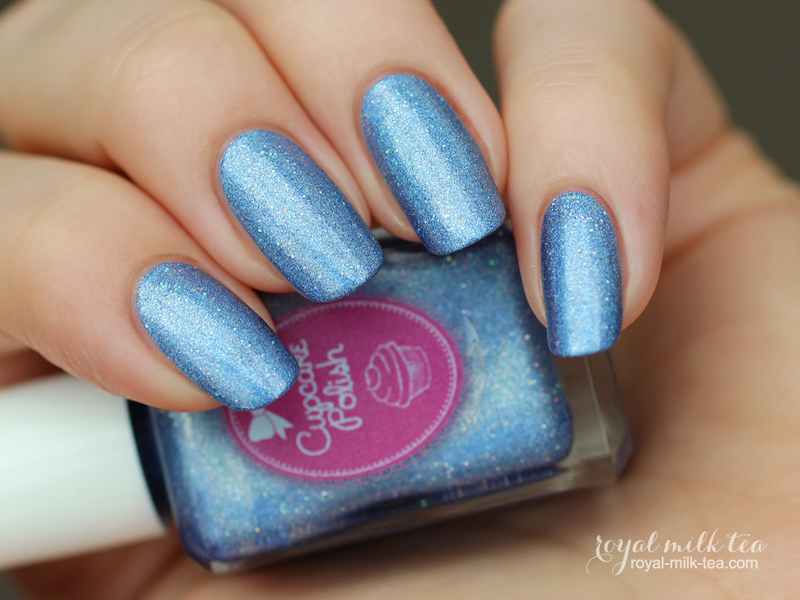 Each of these colors had similarly flawless formulas with an effortless application that looked smooth and even, and with perfect coverage, in just two coats. 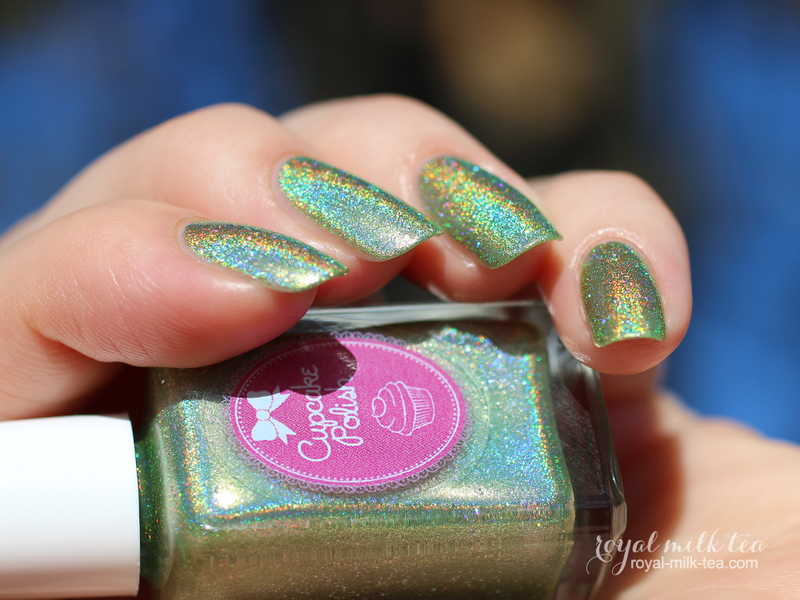 My photos show three coats with top coat, because I just can't help myself! I completely adore all of these! The array of colors are festive yet unique, and they all complement one another beautifully. I mean, here is a lime green I can wear! 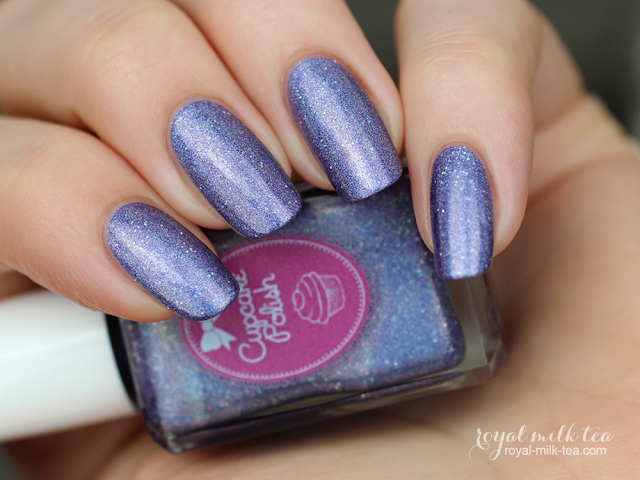 I honestly can't choose a favorite out of these (okay, maybe the purples...), they're all so lovely! 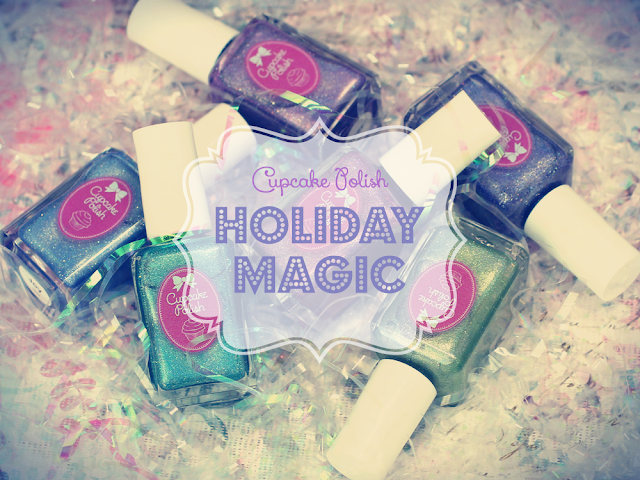 The "Holiday Magic" collection is available now from Cupcake Polish's shop. Each color retails for $13.